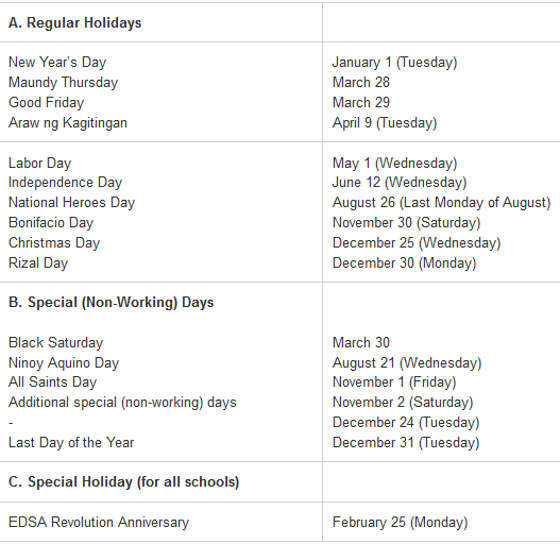 Earlier this year, Malacañang released this list of all the regular holidays, special non-working days, and special holidays for 2013. 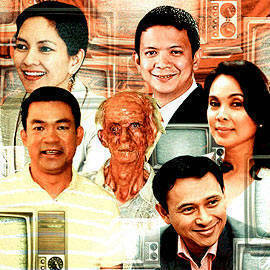 Proclamation No. 459 (s. 2012) also noted: "The proclamations declaring national holidays for the observance of Eid'l Fitr and Eidul Adha shall hereafter be issued after the approximate dates of the Islamic holidays have been determined in accordance with the Islamic calendar (Hijra) or the lunar calendar, or upon Islamic astronomical calculations, whichever is possible or convenient. To this end, the National Commission on Muslim Filipinos (NCMF) shall inform the Office of the President on which day the holiday shall fall."